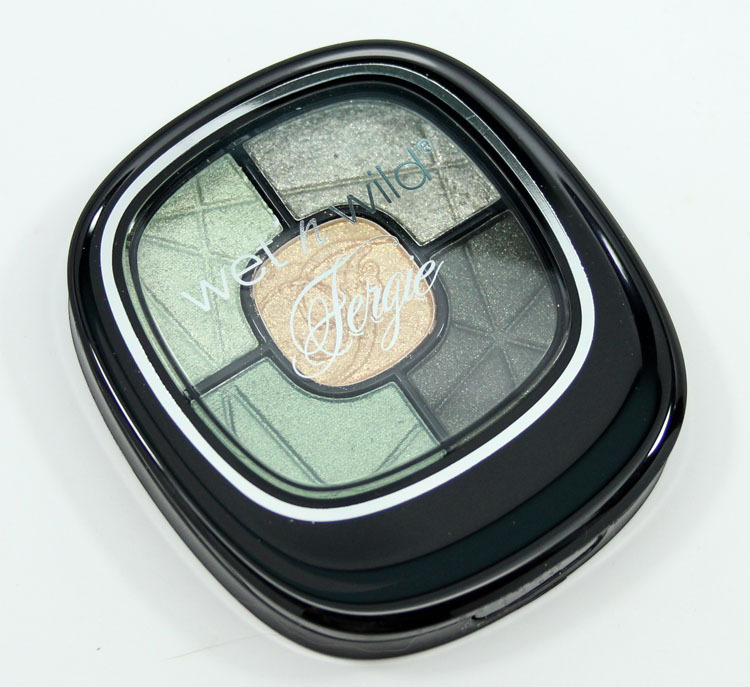 Wet n Wild Fergie Photo Focus Eyeshadow Camouflage Couture is coming soon exclusively to a Walgreens near you! 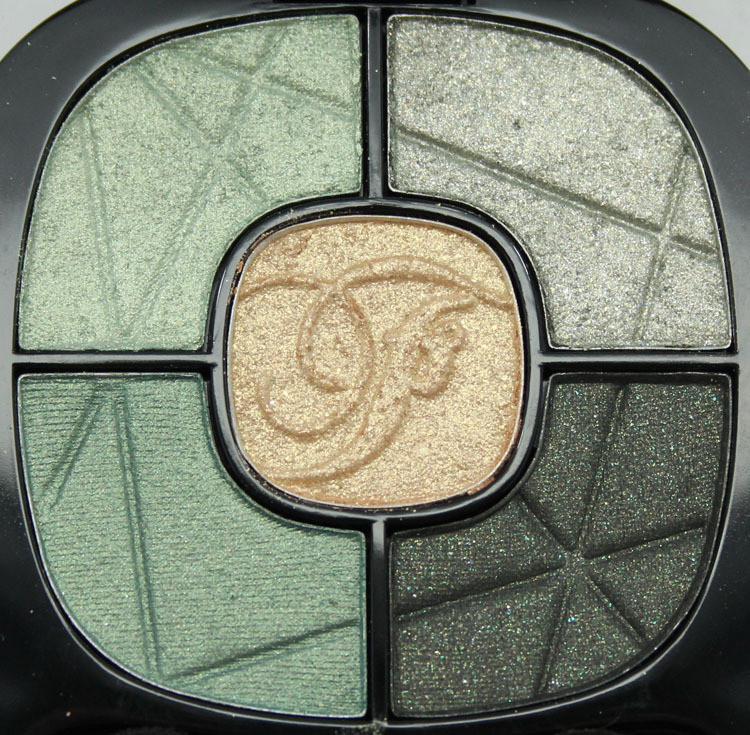 This new palette features five shimmery shades in the very complimentary green and gold families. Of all the Fergie quints to date, I think this one is my favorite because it’s green, and I adore green eyeshadow. Something about blonde hair and green eyeshadow just works really well. The first shade is a pale, icy green. The second is a sheer-ish mossy green with micro-glitter. The third is a dark olive green matte with light green micro-glitter. The fourth is a medium shimmery metallic emerald green. The middle color is a medium cool-toned gold with shimmer and micro-glitter. I don’t feel like these colors are incredibly deep and pigmented, but they definitely still show up with just a swipe. Even the ones with micro-glitter feel super soft, though they can be very messy in terms of fall-out. Just seeing all these green shades together makes me a happy camper. I guess I’m easy to please? I mean it’s not the best palette on earth (obviously) but if you like green eyeshadow and can spare five bucks, you might dig it. Again this is exclusive to Walgreens and should be available around mid-February. Yes or no to this palette? 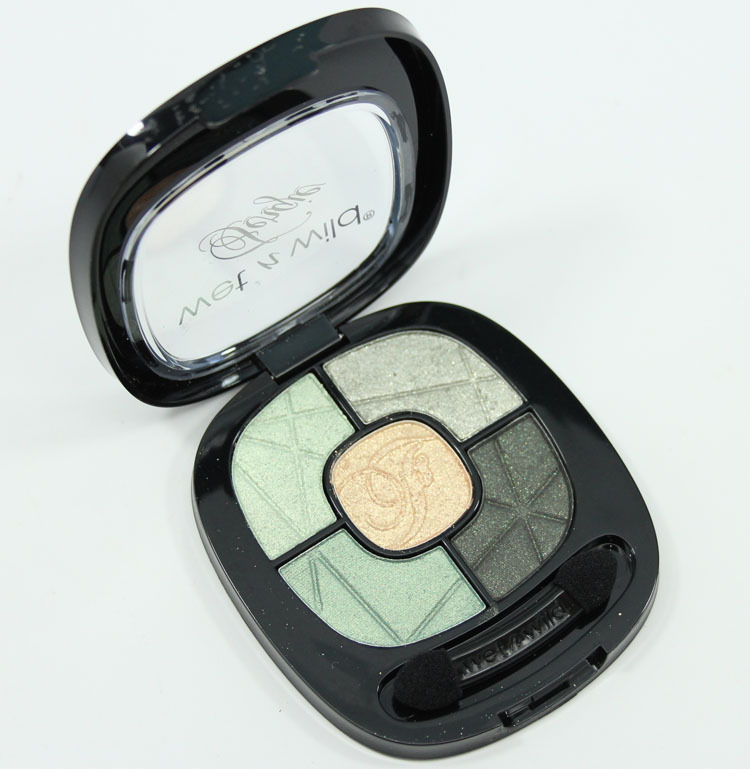 Are you a fan of green eyeshadow? If not….where can i get some? I love this green palette…and i need about 4 more. Maybe? I have the worst memory so I don’t even know, lol. It’s certainly nice for $5! I agree with you about blonde hair and green shadow. I will be looking for this. The colors are so pretty and look wearable without looking all glittery. Guh! I love it! I’m a brunette with hazel, so I love mossy green and gold, and I think the cooler greens will look lush in their own way. Woah. 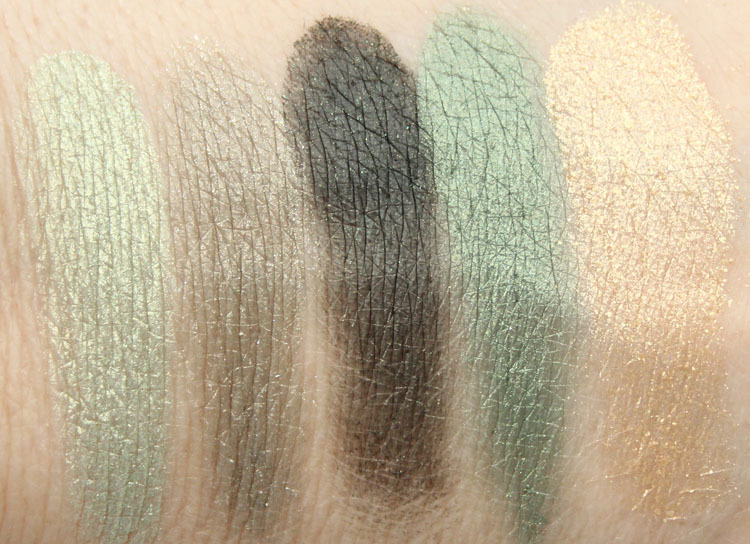 On first glance, I was totally saying now because the greens looked so similar, but swatched they are all quite different and a real nice blend of camo inspired colors. I have a green hazel set of eyeballs, so this totally would work as a signature color for me. And it speaks to my obsession with green eyeshadow I had all through high school. Saying no, lol no “now”.